Forget about engagement for a moment and offer staged, useful value. 10 trends you need to know. Simplicity, storytelling and responsive design - AND what you need to know about them. 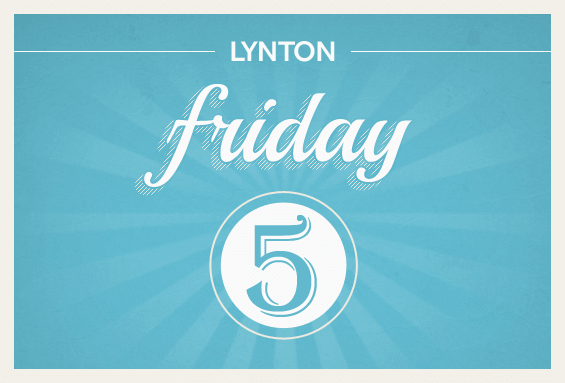 That's it for this edition of the 2014 Friday Five. Anything interesting on your side of the screen?